When an operator can easily position the forks from the driver's seat, they can spend more time moving loads and less time adjusting forks during the workday. 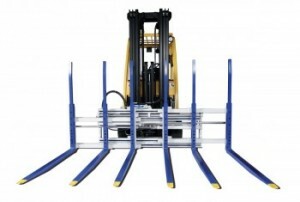 Fork positioners can also reduce product and pallet damage. Achieve all the benefits of palletless handling of unitized loads in your manufacturing and distribution operation. Beverage warehouses and distribution facilites can benefit fromt eh speed and versatility the Layer Picker offers. When building mixed-load pallets, the Cascade Layer Picker handles single layers or mulitple layers of both canned & bottled product. Replace costly manual labor with the versatile Cascade Layer Picker. Cascade's Wine Barrel Handler simplifies the barrel handling process. Designed to work in the "cave" or "narrow aisle" operations, the Wine Barrel Handler allows a lift truck driver to easily grab a barrel from a stack, lower it to the ground or move it to the desired location. The E-Series Push/Pull allows you to ship, receive and warehouse unit loads on inexpensive slip sheets rather than pallets. Products typically handles with a push/pull include bagged products such as seed, agricultural products and cement; cased food, electronics, cosmetics and bottled beverages. Achieve all the benefits of palletless handling of unitized loads in your manufacturing and distribution operation. 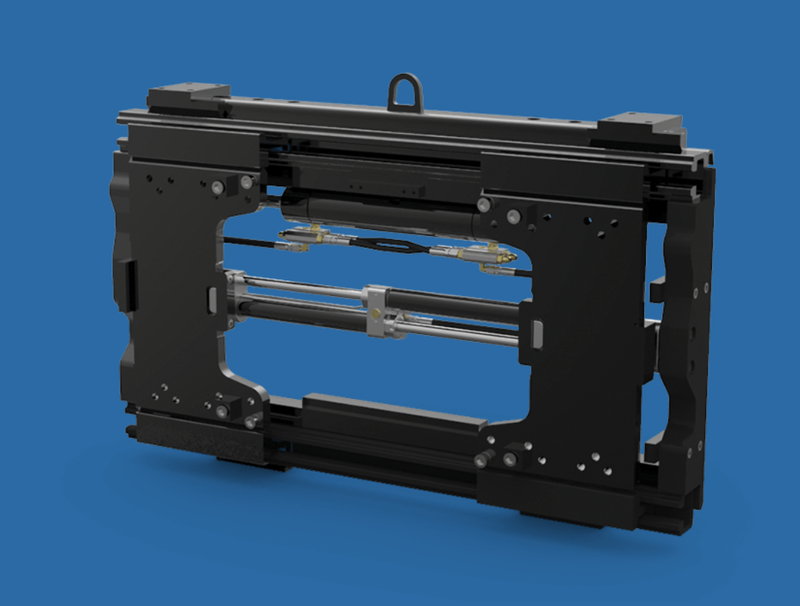 Cascade's D-Series Carton Clamps allow efficient handling of a wide range of low-, medium-, and high-density products including consumer paper products, appliances, consumer electronics, wine, packaged foods (canned and boxed), chemicals and plastics. Designed for the bottling, brewing, production or warehouse/shipping industries, Cascade’s new G series Single-Double Pallet Handler is a new and superior product built to help you perform in real working conditions and meet the demanding applications throughout the material handling industry. G-Series Rotators give your driver the ability to quickly dump or invert a load, and then immediately return the forks to the pick-up position in one continuous motion.